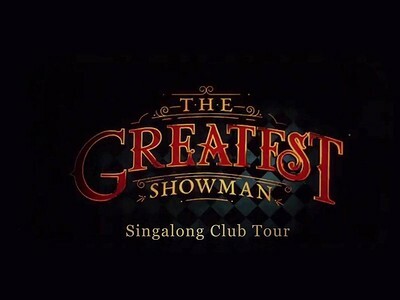 Welcome to The Greatest Showman Singalong Club Tour. We are Coming to your city and you are invited. From 11pm till late we take you on a clubbing experience inspired by The Greatest Showman. We transform some of the best late night Live venues in the country into a Big Top with full club decor. Expect to dance, sign-along, laugh, scream. Cannot be missed. Come dance the night away to all the hits from the movie and join together and Singalong to 4 of the best tracks from the Movie with Giant stage screens playing the scenes from the Movie along with the words to the songs for everyone to singalong. Our live DJ’s will fill the gaps with other singalong classics and anthems to keep you dancing all night!